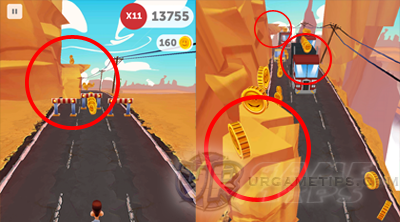 Here's a game guide that will show gamers how to to get more free Chocolates in the endless fast-paced action and arcade running game - Run Forrest Run. Chocolates are used to to upgrade Boosts beyond +2, for purchasing special items from the Shop, and for continuing your run after crashing. - It looks like they only appear once a day, and if you missed the exact spot, it's gone. You need to wait for the next day again to make them re-appear. 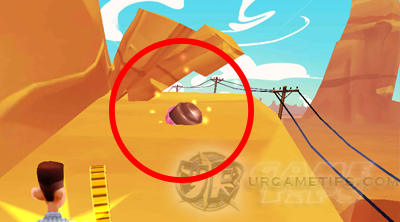 - We can only get 1 Chocolate per day, if you played the Vietnam Zone and you successfully reached and obtained the Chocolate, the one from the Route 66 Zone will no longer appear. - Once you unlock the Vietnam Zone, it is better to start your first run of the day here to check if the Chocolate is present, it's easier here than Route 66. 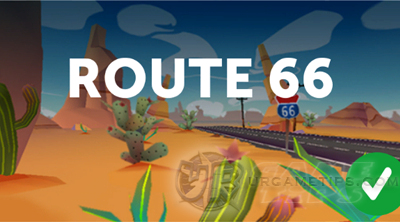 - If you are running on a different Zone, stop then revert it back by selecting ROUTE 66 or VIETNAM under the "Zones" menu. - Start by climbing up on the ramp on the left lane area (see sample screenshot), jump over the falling rocks then towards the 3 long trucks on the middle lane. Jump again on the new falling rocks on the left lane from the 3rd truck, then go straight into the platform on the left lane area to get the Chocolate. Go straight and hopefully you will find the Chocolate there. 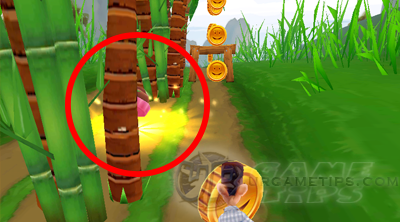 - Practice lane switching and rolling (swipe down) while in mid-air to land where you want to, this is very useful to reach the end of this tricky trail. - Hidden between those series of green bamboos mixed with brown trees (middle lane, see sample screenshot). It's around between - just after the pace suddenly gets faster (your view will also move to the side), and before you encounter the firing helicopter. Run Forrest Run: How to Get High Scores Over 1 Million!